Aha the cookie. Everyone likes cookies, real and imagined. I am still trying to find the best chocolate chip cookie in Atlanta. Steve Harvey talked about the cookie at length in Act Like a Lady, Think Like Man. A woman offers a man three things: the cookie, support, and loyalty. Cookie Monster built a whole career singing about real cookies. “C is for Cookie” was the only song besides the Annie’s soundtrack that defined my youth, and this Google ad is my life. Nope, she’s not talking those cookies so I wasted the opportunity to clutch my pearls. There is limited space in the cookie jar, and you can only put some many cookies (your emotional, psychic energy, your love and attention, you) into the jar. Each interaction takes cookies out of your jar. You give time, attention, and affection to others. Sometimes they reciprocate and replenish the jar. A cookie for a cookie, which is a good and balanced trade. Other times, you continue giving and giving out your cookies until nothing is left. You give someone five cookies (texts, phone calls, comfort, emotional soothing, back rubs) and you get squat. Nada. You are empty. You have no cookies for yourself because others are draining you and because you think that giving those cookies and crumbs to these people will make them love you, like you, want to cherish you, want to be with you…And they don’t. After she got done with that explanation, I wanted real cookies to soothe my pain. But she’s right. 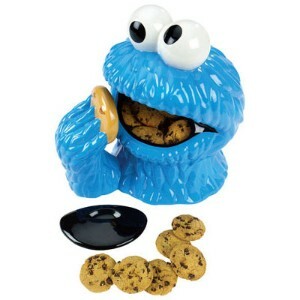 May your cookie jar always be full.